Welcome to Modern! 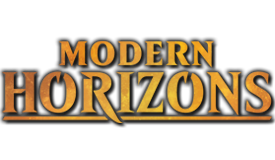 Modern is a 'Non-Rotating Constructed Format', where cards and decks don't rotate out. 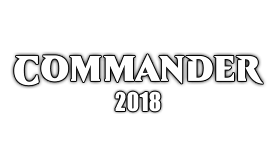 Everything from 8th Edition onwards is legal, but no Commander/Planechase/etc... products allowed. These are the rules for the Modern forum and all subforums under the Modern forum. Any rule highlighted in Red is a warnable/infractable offense. If you break it, you will get warned or infracted. You can still get warned/infracted for the other rules, but only if you are a serious and/or repeat offender. 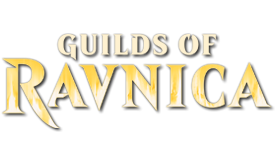 By posting in the Modern forums, you agree that you have read and understood the general MTG Salvation rules. Please take some time to review them before posting; "I didn't know that rule" is not an excuse for breaking a rule that was clearly stated. Users may not post with the primary purpose of discussing, debating, or speculating about the banlist or unbanning/banning cards outside of the Official "State of Modern" thread, which can be found stickied in Modern general. Follow all thread rules when posting there. Users who post about these topics outside of the thread will be warned/infracted accordingly. 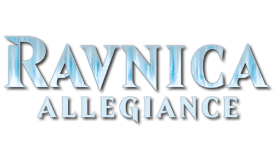 Users may mention bans outside of the banlist thread if the primary purpose is not to discuss, debate, or speculate on the banlist or the banning/unbanning of cards. The primary purpose of the reference must be related to the thread in which the user is posting. For example, saying "Card X is probably getting banned on Monday. Should we swap Card A for Card B in our sideboard?" is okay in a deck thread. Responding to that with "Card X is definitely not getting banned on Monday; it will be Card Y" is a violation of this rule. PM the staff if you have any questions; posts that cross the line will be warned/infracted at the moderators' discretion. 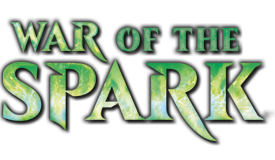 The Modern forum is for people who want to play the Modern Format. Posting for the purpose of bashing Modern will be infracted. Similarly, just because this is Modern doesn't mean it's okay to bash other formats. Don't hate on Legacy, Standard, or other enjoyable ways of playing the game. It is okay to constructively criticize the format in certain threads and certain contexts. Use common sense and good judgement when posting and you will be fine. Users who violate this rule will be warned/infracted accordingly. Budget lists need to go in the Budget forum. Do not post a budget question in the main version of a deck. For instance, do not ask about budget replacements to Tarmogoyf in the Junk thread. Users who post about budget lists, cards, or options outside of the Budget subforum will be warned/infracted accordingly. 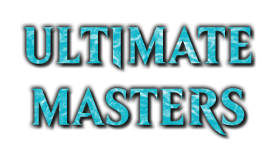 The main Modern forum is for format-wide issues, single card discussions, questions about Modern, and other broad issues. Decklists need to go in Deck creation. Repeat offenders, or longtime users who should know the rules, might be infracted for violating this. Please use the search function to see if your topic already exists. Duplicate threads will be merged or closed. Repeat offenders may receive moderation. When posting a list talking about card(s), please used their corresponding tags. This makes the conversation easier, as people can now see exactly what card(s) you're talking about. An explanation on how to use them is here. For new posters, moderators and other users will just remind you to use them. For repeat offenders or veteran posters who frequently forget, you might get a warning or infraction. If you see someone breaking rules, REPORT IT! Don't get involved! Please don't backseat mod! We want to infract the offender, not the well-intentioned poster who intervenes. If another poster is breaking a rule, just use the "Report Post" button to involve the moderators. Don't try to handle it yourself, especially if the offending post is targeting or baiting you. If you have questions or concerns, please contact Torpf, CavalryWolfPack, Xaricore, or Ulka, or post in the Modern Forum Helpdesk. Want to make a primer or take over an old one? Read through this thread to learn how to go about doing just that! When talking about spoiled cards as a generality, please keep it in the designated "spoiler thread" in Modern General. SCDs for spoiled cards are NOT allowed until the whole set is released. Feel free to discuss the cards in threads for decks. If a card is not on the Official MTGS Spoiler Page, yet is believed to be in the new set, it is considered a rumor, or speculation. Discussion on cards of this nature is not allowed in the modern forum, and should be kept in the Rumor Mill or its appropriate subforum. When discussing a new card, or any card really, please give your reasons for why you think a newly spoiled card belongs. If you put a spoiled card in a decklist, please LINK to the spoiled card in our spoiler list.